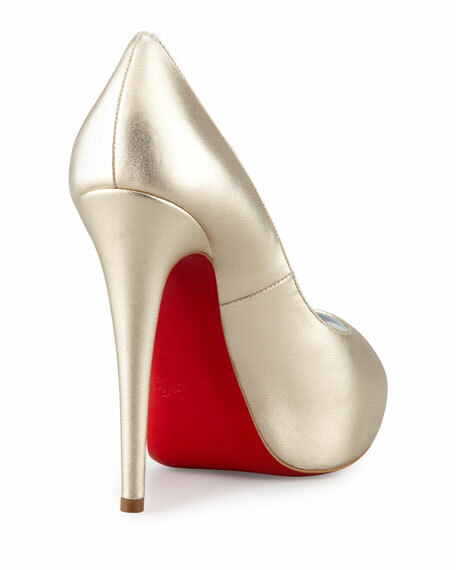 The Christian Louboutin Vendome pump takes a quintessential platform design and stamps it with the house's signature style, in metallic leather with a signature red leather outsole. 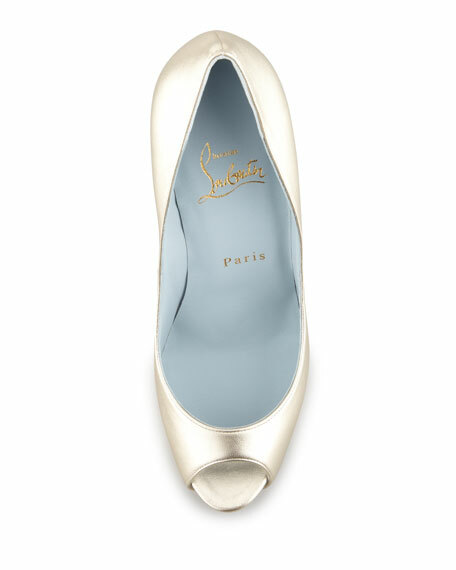 Blue lining refreshes the interiorand also makes this shoe a smart pick for the adventurous bride. 4 3/4" covered heel, 1" hidden platform. "Vendome" is made in Italy.